The short lived 1983 NBC show Manimal is discussed. 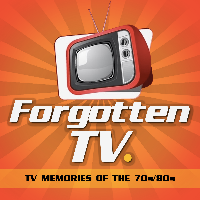 TV themes/clips used -NBC 1983 Be There jingle-various NBC promo clips-Manimal theme-Zenith System 3 1983 commercial-Reeses 1983 commercial-NBC Be There 1983 full promo Buy Manimal on DVD Watch NightMan S2 Ep 6 Donate to Forgotten TV Podcast published at forgottentv.podbean.com More at Forgotten TV Forgotten TV Amazon Wishlist Support Forgotten TV on Amazon Listen to my appearance on Forgotten Filmcast Subscribe to Stuck In The 80s Part of the Frequent Wire Podcast Network Also listen to Walnut Grovecast Amazon links are affiliate. The 1986-87 ABC TV series Starman is discussed. Music themes/clips included -1984 Starman TV spot-Starman movie theme by Jack Nitzsche-Starman TV theme by Dana Kaproff-various ABC Starman promos/bumpers-1986 ABC Life with Lucy Promo-1987 Nestle Crunch commercial w/CB Barnes-1986 ABC We Belong Together fall promo-Stranger Things theme References/fact checking Todd AndrewsSpotlight Starman InternationalScience Fiction Television Series 1959-1989 by Mark Phillips and Frank Garcia Starlog Magazine issues 114, 126, 131 Special thanks to Todd Andrews and Spotlight Starman International Get Starman-the movie on DVD or Bluray Get Starman-the Complete Series on DVD How to get your copy of Starman 'Extras' DVDPatrick Culliton's websitePatrick Culliton's book Houdini-The KeyGet Lucan on DVD More at Forgotten TV Support Forgotten TV on Amazon Part of the Frequent Wire Podcast Network Also listen to Walnut Grovecast Amazon links are affiliate. A journey through the Saturday morning TV fad of animated spin-offs in the 1970s. 16 TV shows are considered. Music themes/clips included -Hanna–Barbera's World of Super Adventure-Scooby-Doo, Where Are You?-The Saturday Superstar Movie-The Brady Kids-Nanny and the Professor-"Love The World" Hanna-Barbera song-1973 Jackson 5 Alpha Bits commercial-1973 GI Joe commercial-That Girl In Wonderland-Emergency +4-Jeannie-Lost In Space-My Favorite Martians-Star Trek: the Animated Series-Star Trek TAS PSA for Keep America Beautiful-Star Trek/Filmation themes-1973 Shirt Zanys commercial-1973 Barbie Goin' Camping set commercial-The Addams Family-The Munsters-Partridge Family 2200 A.D.-Partridge Family 'Gypsy Girl' song-The New Adventures of Gilligan-The Oddball Couple-Return to the Planet of the Apes References-Lou Scheimer: Creating the Filmation Generation-Saturday Morning Fever: Growing up with Cartoon Culture-Lassie Web-Cmon Get Happy Partridge Family 2200 AD-Den Of Geek special thanks to Meringue Donate to Forgotten TV Podcast published at forgottentv.podbean.com More at Forgotten TV Support Forgotten TV on Amazon Part of the Frequent Wire Podcast Network Also listen to Walnut Grovecast Amazon links are affiliate. A journey through the weird world of 1970s live-action Saturday morning TV and the world of Sid and Marty Krofft. YouTube Companion Playlist TV Themes clipped Tom Corbett, Space CadetCaptain MidnightThe Pinky Lee ShowH.R. PufnstufLancelot Link-Secret ChimpThe BugaloosLidsvilleSigmund and the Sea Monsters 1971 ABC Saturday morning promo DVDs available: H.R. Pufnstuf: The Complete SeriesLancelot Link: Secret ChimpThe Bugaloos - The Complete SeriesSigmund and the Sea Monsters - Complete Series Donate to Forgotten TV Podcast published at forgottentv.podbean.com More at Forgotten TV Support Forgotten TV on Amazon Part of the Frequent Wire Podcast Network Amazon links are affiliate. Continuing the journey through the weird world of 1970s live-action Saturday morning TV and the world of Sid and Marty Krofft. YouTube Companion Playlist TV Themes clipped The Lost SaucerFar Out Space NutsMonster SquadThe Krofft SupershowElectra Woman and Dyna GirlDr. ShrinkerWonderbugMagic MongoBigfoot and WildboyCBS Saturday morning promo 1975 DVDs available: The World of Sid and Marty KrofftSid & Marty Kroffts Saturday Morning HitsElectra Woman and Dyna GirlElectra Woman and Dyna Girl (2016) Donate to Forgotten TV Podcast published at forgottentv.podbean.com More at Forgotten TV Support Forgotten TV on Amazon Part of the Frequent Wire Podcast Network Amazon links are affiliate. The 1987 TV movie pilot The Spirit with Sam J Jones and Nana Visitor is considered. Buy The Spirit DVD on Amazon TV/movie Themes clippedThe Lone Ranger 1949Dick Tracy 1950Sheena Queen of the Jungle 1955Zorro 1957 The Masked Marvel 1943The Spirit theme 1987The Spirit 2008 movie Ohara 1986 ABC promoSledge Hammer! 1986 ABC promoStarman 1986 ABC promoMax Headroom 1986 ABC promoABC 1987 Friday Night Movie intro Correction: Gotham airs on Fox, not the WB as stated. Donate to Forgotten TV Podcast published at forgottentv.podbean.com More at Forgotten TV Support Forgotten TV on Amazon Part of the Frequent Wire Podcast Network Amazon links are affiliate. The 1981 TV movie and 1982 series The Phoenix is considered. Watch The Phoenix on YouTube Music themes/clips included -Chariots of the Gods (1970) -In Search of Ancient Astronauts (1973)-William Shatner's Mysteries of the Gods (1977)-In Search Of... theme music-Battlestar Galactica opening narration/theme-The Sixth Sense (1972) theme music-"The Phoenix" composed by Mattia Cupelli-The Phoenix (1981) movie themes-1981 ABC Darkroom promo-1981 ABC Greatest American Hero promo-ABC 1981 Fall promo "Now is the Time"-The Phoenix (1982) theme music Thanks totimetraveltv.comScience Fiction Television Series 1959-1989 by Mark Phillips and Frank GarciaMattia CupelliDiane MullenMarli Kennedythe Judson Scott Fan Club on FacebookThe Phoenix (starring Judson Scott) Facebook page Donate to Forgotten TV Podcast published at forgottentv.podbean.com More at Forgotten TV Support Forgotten TV on Amazon Part of the Frequent Wire Podcast Network Amazon links are affiliate. The 1977-78 CBS series/adaptation of Logan's Run is considered. Due to length, segment times are included for your convenience. 0-31:44 Intro/Pilot31:44 The Series1:28:44 Behind the Scenes TV themes/clips Logan's Run film teaser trailer Logan's Run film radio spotsLogan's Run TV theme Logan's Run TV series on DVD Logan's Run film on Bluray/DVD Sources of quotes and background information: Science Fiction Television Series 1959 through 1989Starlog Magazine back issuesVirtual Vikki's Logan's Run fansiteThe Projection Booth podcast ep 213 interviews w/William F Nolan and George Clayton JohnsonJOHN KENNETH MUIR'S REFLECTIONS ON CULT MOVIES AND CLASSIC TVThe Highly Unofficial Logan's Run FAQ by Roger M. Wilcox Mego Museum's Logan's Run toy gallery Donate to Forgotten TV Podcast published at forgottentv.podbean.com More at Forgotten TV Forgotten TV Amazon Wishlist Amazon links are affiliate.